Lightweight (155 lb. 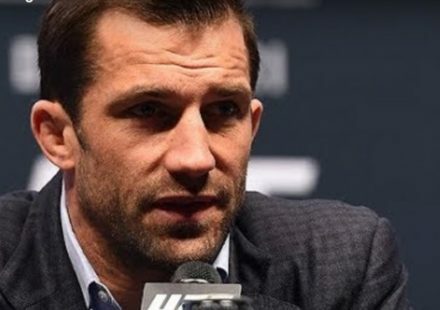 limit) star Josh “The Punk” Thomson will attempt to steer his career back on track when meets Harris “The Hitman” Sarmiento during “Revenge,” the 10-bout Strikeforce mixed martial arts mega-card that will take place at San Jose, California’s HP Pavilion on Friday, June 9th. Middleweight (185 lb. limit) Eugene “The Wolf” Jackson, meanwhile, will look to build on his successful comeback when he squares off with Mike Seal during the star-studded affair. The 27-year-old Thomson is coming off a heart-wrenching loss to Chicago, Illinois’s Clay Guida. With the vacant Strikeforce lightweight championship on the line during March 10th’s “Shamrock vs. Gracie” card, Thomson put forth a gutsy effort as he battled, predominantly from the guard position, to ward off the ground and pound tactics and repeated submission attempts by a relentless Guida. More than once, Thomson attempted to comprise his opponent’s arm, but it was to no avail as Guida escaped each time and was declared the winner by unanimous decision after five rounds of non-stop action. A former wrestling standout at NCAA Division I Stanford University, Thomson, a resident of San Jose, has established himself as a force in the sport of mixed martial arts. To date, he has notched three victories in The Ultimate Fighting Championship’s (UFC) octagon. In his sole start with Japan’s Pride Fighting Championship on July 17, 2005, Thomson submitted Daisuke Sugie with a kneebar. Thomson’s “Revenge” opponent, Sarmiento, is also endeavoring to rebound from a defeat that he suffered at the hands of undefeated sensation Gilbert Melendez during the “Shamrock vs. Gracie” event. The 23 year old Sarmiento is a native of Waipahu, Hawaii and a rugged brawler with over 30 mixed martial arts bouts under his belt. In his first start in nearly three years, Jackson systematically wore down Mexico’s Jorge “The Naked Man” Ortiz while the two repeatedly battled for position on the ground. After three rounds of action came to a close, Jackson was awarded the win by way of unanimous judges’ decision. 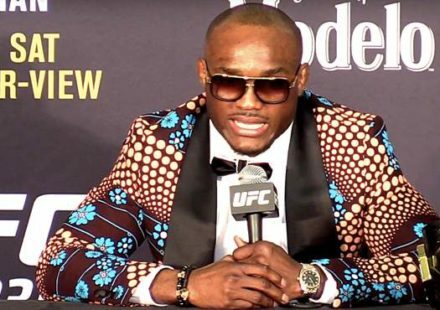 The 39-year-old Jackson, who hails from East Palo Alto, California, entered the world of mixed martial arts eight years ago as a rugged street brawler with no formal martial arts training. Jackson has since evolved, adopting world-class trainers Javier Mendez and “Crazy Bob” Cook of American Kickboxing Academy (AKA) as his mentors. 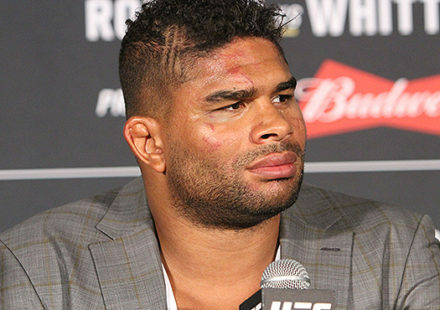 The Strikeforce “Revenge” bill will be headlined by a rematch between former UFC light heavyweight champion, Vitor Belfort, and Pride Fighting Championship superstar, Alistair Overeem. During their first encounter at Pride’s “Total Elimination 2005” event a year ago, Belfort and Overeem battled for nine and a half minutes (Note: Pride Fighting Championship schedules the first round of its bouts for 10 minutes) before Overeem secured a guillotine choke on Belfort and forced the Brazilian fighter to tap out. Another rematch will see World San Shou kickboxing champion Cung Le face “Mr. Unbreakable” Brian Warren. Le, whose start marks his second career appearance under mixed martial arts rules, defeated Warren by way of unanimous decision in a bout contested under San Shou rules in Las Vegas, Nevada on April 30, 2004. The card will also be highlighted by a matchup between undefeated 22-year-old Tyson Griffin and K-1 and UFC veteran, Duane “Bang” Ludwig, as well as a meeting between light heavyweights Bobby Southworth and James Irvin. Southworth introduced himself to the masses during Spike TV’s premiere season of “The Ultimate Fighter” reality series two years ago. Strikeforce 155 lb. 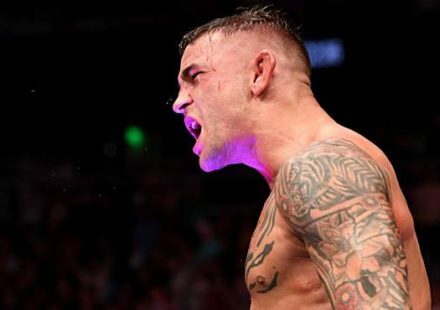 champion, Clay Guida, will set out to defend his crown for the first time and former World Wrestling Entertainment (WWE) superstar, Daniel Puder, will make his third career mixed martial arts appearance during the event. Tickets for Strikeforce “Revenge” are on sale at the HP Pavilion box office (408-287-7070) as well as at all Ticketmaster (408-998-TIXS) outlets and Ticketmaster online (www.ticketmaster.com). An arena seating chart can be easily accessed by visiting Strikeforce’s official website, www.strikeforceusa.net, and clicking on the “Tickets” link. Strikeforce made history twice over on March 10th with its “Shamrock vs. Gracie” event, the first sanctioned mixed martial arts fight card in California state history. The star-studded extravaganza, which pitted legendary champion Frank Shamrock against Brazilian Jiu-Jitsu black belt Cesar Gracie at the HP Pavilion, played host to 18,265 fans, the largest-ever attendance at a mixed martial arts fight card held in North America. The Strikeforce mixed martial arts event is being produced by Silicon Valley Sports and Entertainment (SVS&E, www.svse.net), a leading producer of major sporting and entertainment events and the exclusive producer of such events for San Jose, California’s largest entertainment venue, HP Pavilion. SVS&E’s many properties include “Fight Night at the Tank” professional boxing; the National Hockey League’s San Jose Sharks; and the annual ATP men’s professional tennis “SAP Open” event.